Home/Daily Express Advertisers, Stop Funding Hate, The Daily Express/How should Stop Funding Hate respond to the latest developments with the Daily Express? This week the new editor of the Daily Express made a dramatic admission. 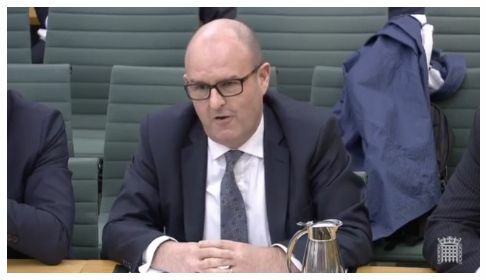 Giving evidence to a leading Parliamentary Committee, Gary Jones acknowledged that some of the newspaper’s past coverage had fuelled “Islamophobic sentiment”, and committed to making changes. This comes after observers have already noticed a marked difference in the newspaper’s coverage. Stop Funding Hate was launched in August 2016, following a surge in hate crime which experts believe was fuelled by hostile media coverage. The campaign has resonated with people across the political spectrum, amid huge concern about the direction that our media has been taking – and the impact this is having on our society. To begin with, the idea that advertisers should think about the content they are funding – and avoid putting their money into outlets that fuel hatred – was met with hostility in some parts of the media. Now it is becoming a mainstream business ethics issue, amid growing demand from consumers around the world that the companies they shop with advertise more responsibly. Earlier this year, the global multinational Unilever committed to ensuring that it “will not invest in platforms or environments that do not protect our children or which create division in society, and promote anger or hate”. Unilever is the largest of a list of companies who have recently made positive commitments on ethical advertising. At the same time, observers have started to see some improvements within the UK press. Based on feedback from industry insiders, we think this has been driven at least in part by concern over advertising revenue. What should be our next steps? In 2016 the Daily Express ran more than 70 front pages targeting migrants – an average of one every 5.2 days. Research by former Times journalist Liz Gerard shows this number had been rising every year since 2011. But last year the number of anti-migrant Express front pages fell for the first time in years. And in 2018 there’s been an even more profound change. Following a takeover, the longstanding editor of the Daily Express was replaced by Gary Jones – previously editor of the Sunday Mirror. According to Liz Gerard: “In the seven weeks since he has been in charge the word ‘migrant’ has appeared in 23 news stories. Most are neutral, some are really positive… In the last seven weeks under his predecessor, there were 49 mentions. All negative”. Gerard argues that the changes are of such a scale that Stop Funding Hate should now rethink its position on the Daily Express. The overall goal of Stop Funding Hate is to help bring about a healthier and fairer media by making hate unprofitable. There’s still a long way to go – and we know that there are a range of wider problems alongside anti-migrant hostility and Islamophobia. But there are some reasons to be hopeful that things may be moving in a more positive direction. Over the next few days we will be asking for input from Stop Funding Hate’s campaigning allies and partners about the implications of recent developments in the Daily Express – in particular from groups representing or supporting affected communities. We’re also keen to hear views from everyone who is involved with or supports the Stop Funding Hate campaign. Please let us know your thoughts here.